These are carefully manufactured in India by Homes capes using 100% Polyester yarn in the pile. The backing is 100% cotton and has been hand woven using techniques passed on from generations to generations. It's simple but modern appearance makes it very fashionable and such items can be seen in most show homes. 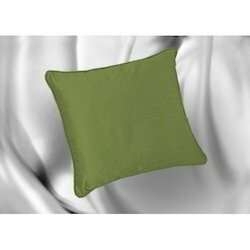 We are a manufacturer and exporter of Faux Silk Cushion. These cushions are available in reasonable price. We are counted amongst reckoned names in the industry, committed towards manufacturing a wide gamut of Polyester Cushion Filler. 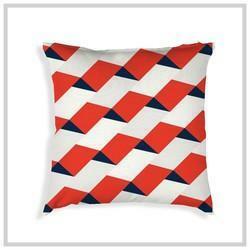 We are leading supplier of Polyester Filled Cushion. We are reckoned manufacturer and supplier of wide assortment of Polyester Fiberfill Cushion. The offered cushion is fabricated with the help of quality approved material and contemporary tools in compliance with set industrial norms. This cushion is widely appreciated by our clients due to its soft texture and comfort ability.